IOS 7, target iphone, install on ipad, window height and width are of ipad, not the iphone. 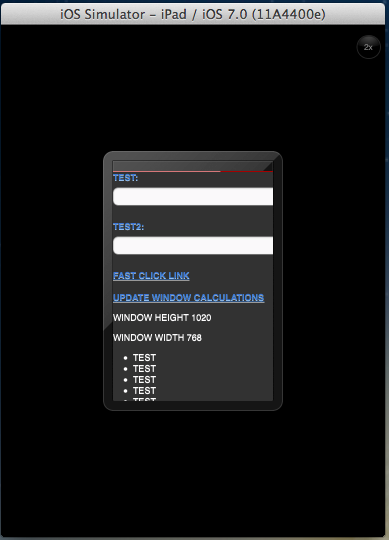 See screen shot, the window height and width are 1080x768 and they should be the iphone size. This causes the window to overlap the iphone container screen. This is only present in ios7, ios6 works fine.